Basically a mini jaws of life for all things household. 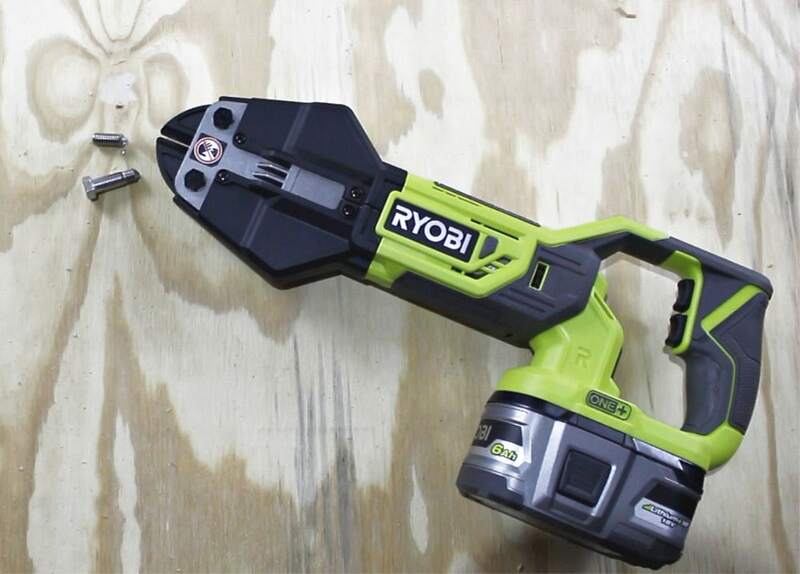 The Ryobi 18 Volt One+ Bolt Cutter can cut through the hefty, tough things you almost thought were impossible. 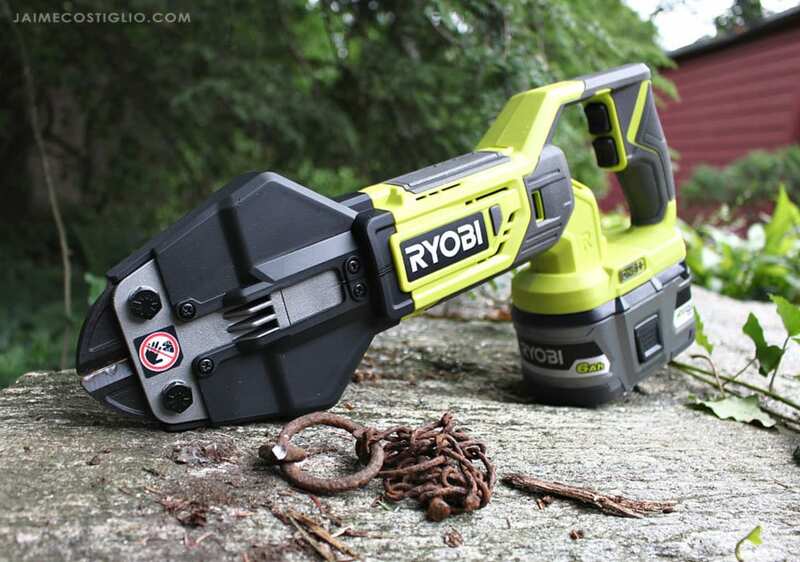 Introducing the Ryobi bolt cutters with forged steel jaws. 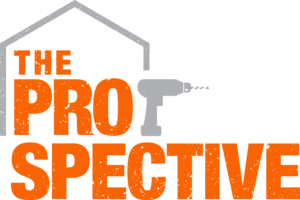 Battery operated power and capable of cutting materials like chains, locks, bolts, fencing, wire shelving and more. 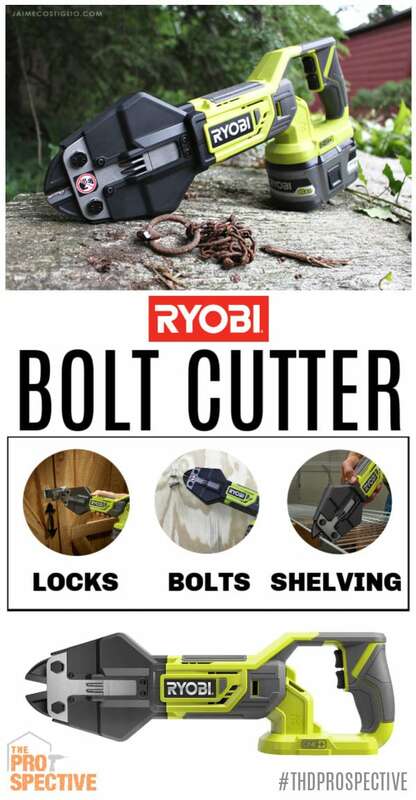 Not only can this bolt cutter cut through tons of hefty items but it uses the same Ryobi 18V One+ battery you probably already have on hand. Today I’m using the lithium-ion 6.0 Ah high capacity battery. 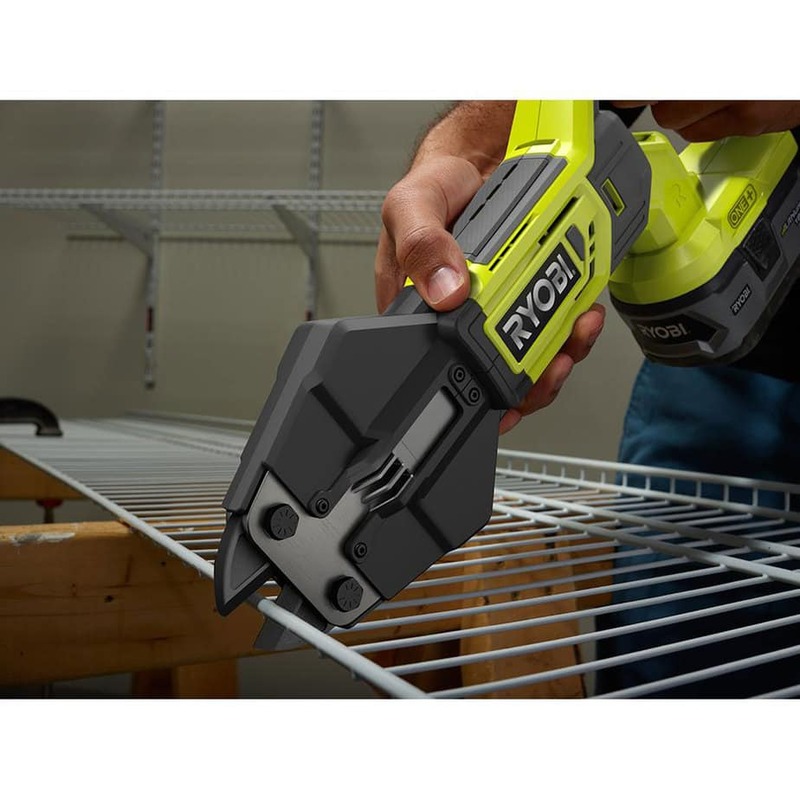 This lithium battery is capable of handling more demanding applications and is equipped with HP technology which allows it to communicate with the brushless tools to maximize performance. 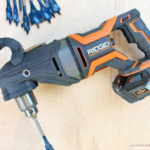 Once you get your first taste of the Ryobi bolt cutters you will be running around finding things to cut, it’s just so easy and so much fun. The design is similar to using a reciprocating saw, you can see exactly what you are cutting. 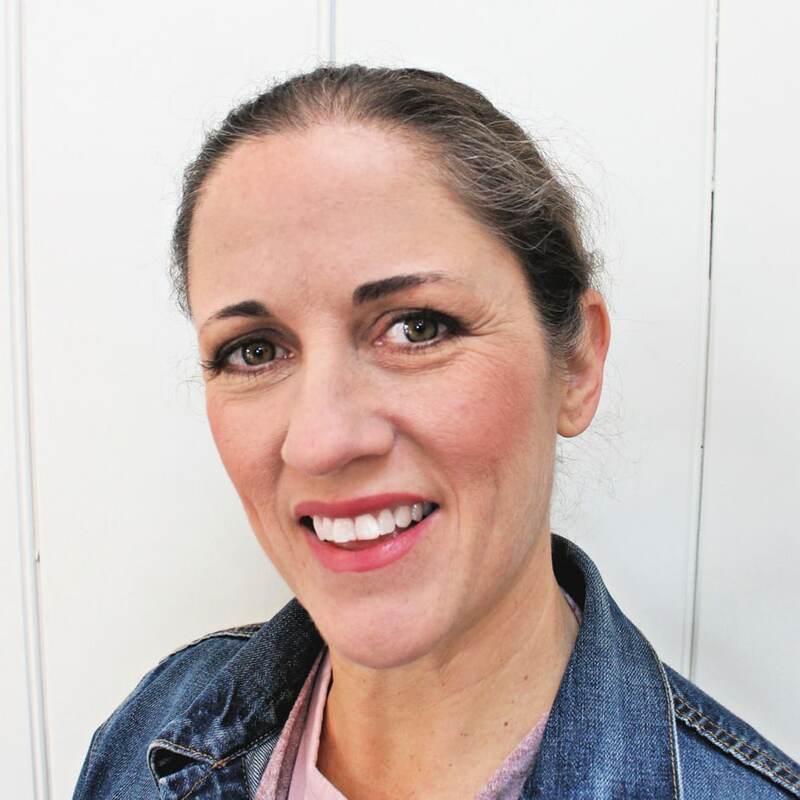 The hot forged steel jaws chomp down through metal chains, locks and chain link fencing. 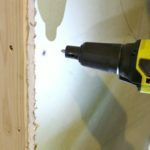 The jaws are replaceable should you dull the blades with so much cutting. 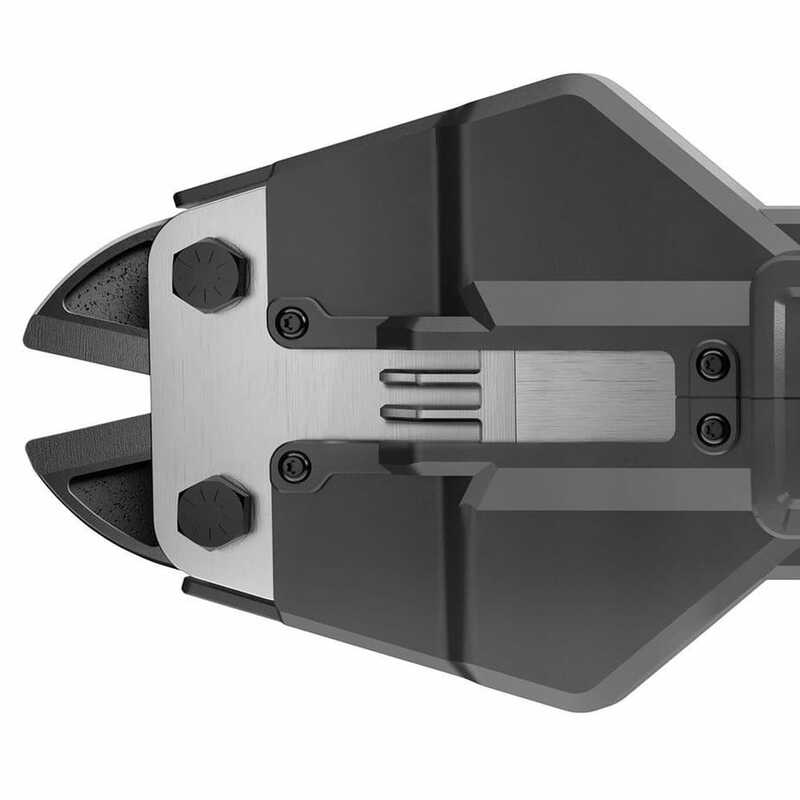 The sleek design is extremely user friendly and minimizes hand and arm fatigue. 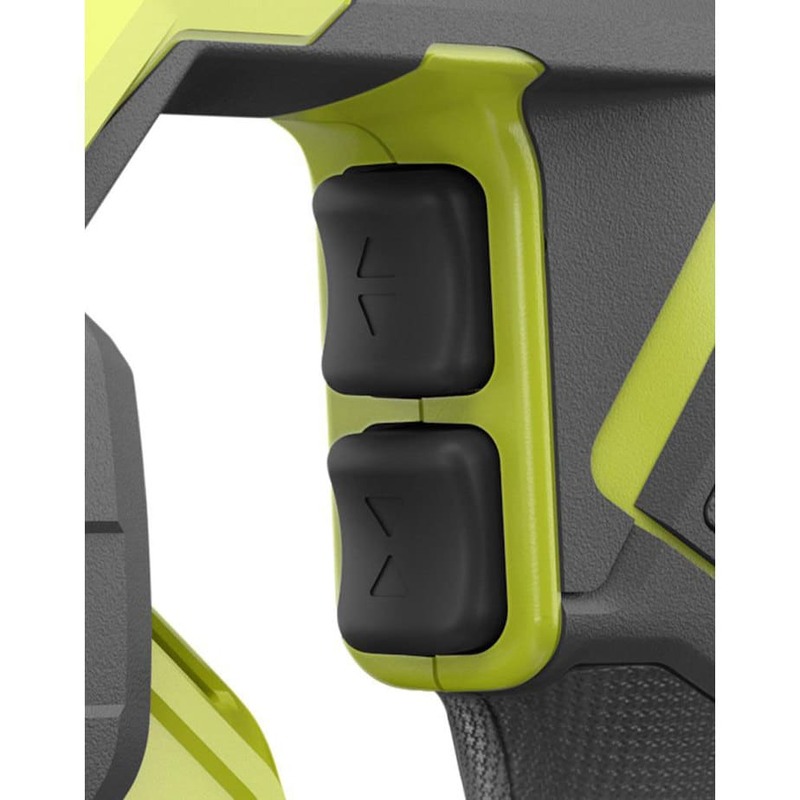 To operate the jaws there are separate forward and reverse buttons for precision cutting control and repetitive cuts. 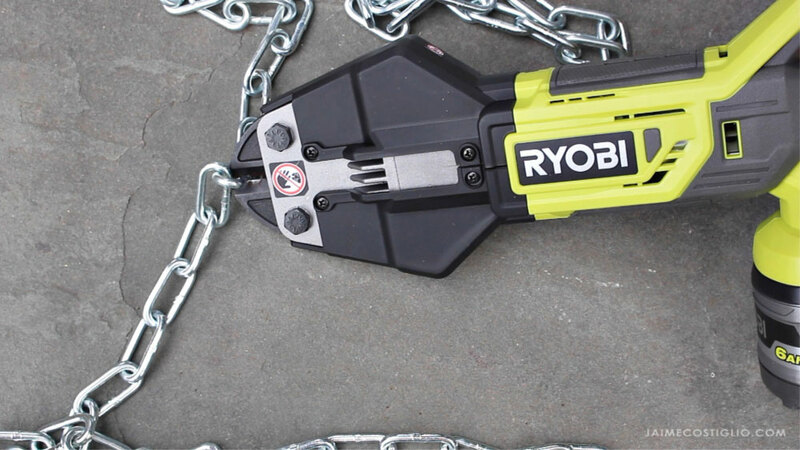 This Ryobi 18V bolt cutter cut through chain with ease. 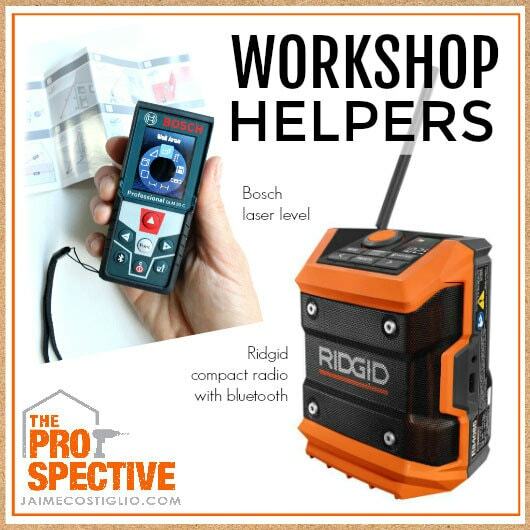 Using the high capacity battery allows you to get up to 200 cuts per charge! I hope you never have to make 200 cuts in one sitting. 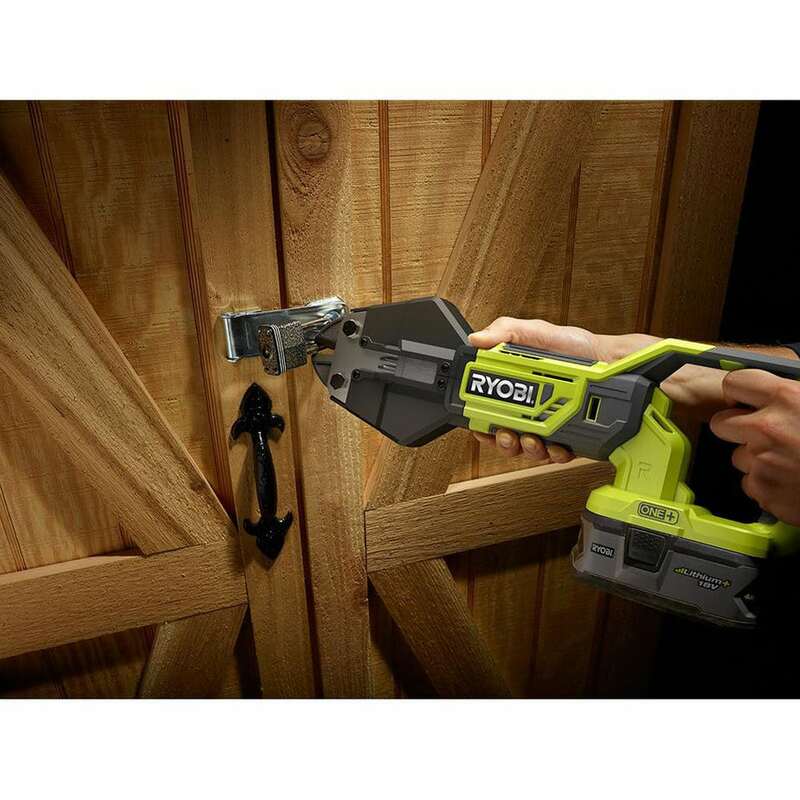 But if you do then of course you definitely want the Ryobi bolt cutters. It fits perfectly on those very common white wire shelving racks. Ever forget the combination for the lock? loose the key? or just plain need to get in and can’t wait around? 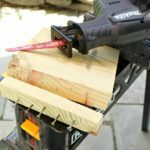 Ryobi bolt cutter to the rescue! Cutting a padlock like butter. The Ryobi 18V bolt cutter and lithium high capacity battery are definitely a worthwhile investment if you have hefty things to cut.